Figure 1 Recommended change limits (A/) of actual landscape diversity (R) according to the dynamic coherence concept. A is area of diversity change at which undesirable anthropogenic processes (erosion, deflation, clogging of drainage, etc.) occur. The curve indicates the generalized coherence limit. II and III are the coherence levels for landscapes of resistance groups II and III, respectively. Adapted from Mander 0 and Murka M (2003) Coherence of cultural landscapes: A new criterion for evaluating impacts of landscape changes. In: Mander 0 and Antrop M (eds.) Advances in Ecological Sciences 16: Multifunctional Landscapes, Vol. ///: Continuity and Change, pp. 15-32. Boston: WIT Press. reason for biodiversity decrease. It provides a familiar example of a critical threshold, that is, transition ranges across which small changes in spatial pattern produce abrupt shifts in ecological responses. 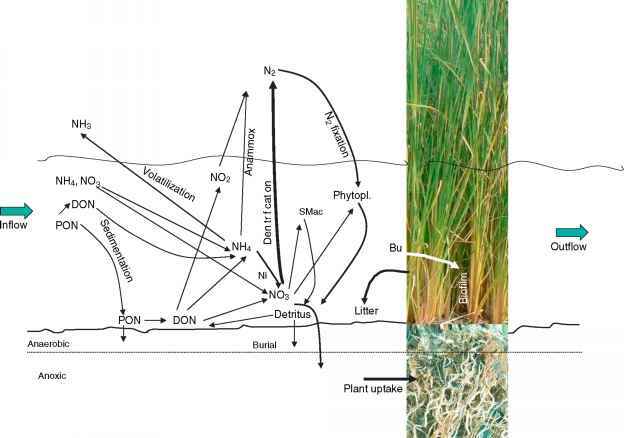 As the landscape becomes dissected into smaller parcels of habitat, land scape connectivity - the functional linkage among habitat patches - may suddenly become disrupted, having impor tant consequences for the distribution and persistence of populations. Landscape connectivity depends not only on the abundance and spatial patterning of habitat, but also on the habitat specificity and dispersal abilities of species. Habitat specialists with limited dispersal capabilities presumably have a much lower threshold to habitat frag mentation than highly vagile species, which may perceive the landscape as functionally connected across a greater range of fragmentation severity. The composition of habitat types in a landscape and the physiognomic or spatial arrangement of those habi tats are the two essential features that are required to describe any landscape. As such, these two features affect four basic ecological processes that can influence population dynamics or community structure. The first two of these processes, landscape complementation and landscape supplementation, occur when individuals move between patches in the landscape to make use of nonsubstitutable and substitutable resources. The third process, source-sink dynamics, describes the con sequences of having different individuals in the same population occupy habitat patches of different qualities, and is part of the metapopulation concept. The fourth process, the neighborhood effect, describes how land scape effects can be amplified when the critical resources are in the landscape immediately surrounding a given patch. In generalizing from several studies, one can conclude that there is an optimum of landscape fragmentation at which biodiversity is the highest. For instance, in open patches, large natural (relatively) homogeneous forests caused by natural disturbances or human activities that can support various species with different ecological requirements can exist. On the other hand, excessively small patches in fragmented landscapes are unable to provide enough space and resources for various metapopulations. Landscape planning measures, especially the implementation of territorial ecological networks, can pro vide greater connectivity and biodiversity in landscapes.